Today the two large trenches start revealing their secrets ………………trench 1 appears to be largely Iron Age and trench 2 seems to be more organised and Roman – so two eras for the price of one. We also welcomed members of West Berkshire Council’s Heritage and Tourism Department to the site. They supported our bid to the Heritage Lottery Fund for our three year project. Steve Clark and Lindsey Bedford did the honours, walking them round the site. 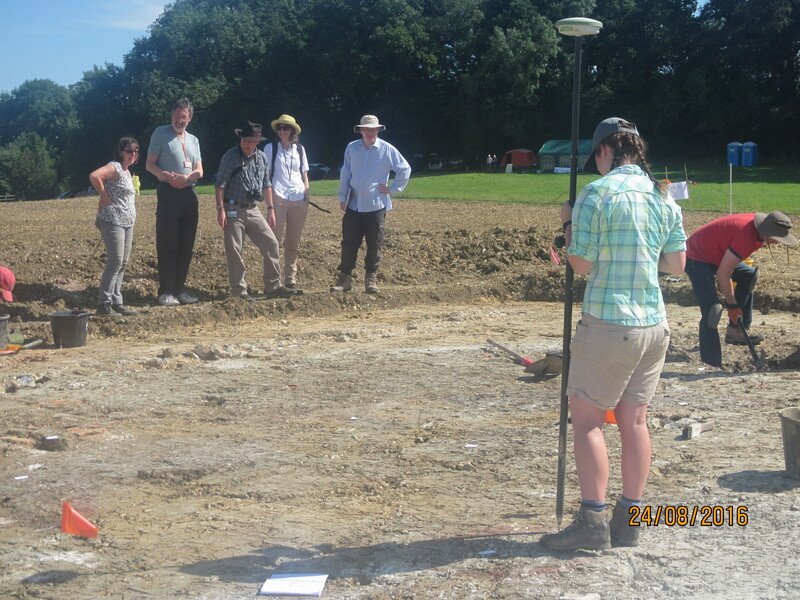 Trench 2 below …………….where Freya is logging the position of circular burnt areas which would appear to be ovens. In this trench also the foundations of a small building have been discovered. 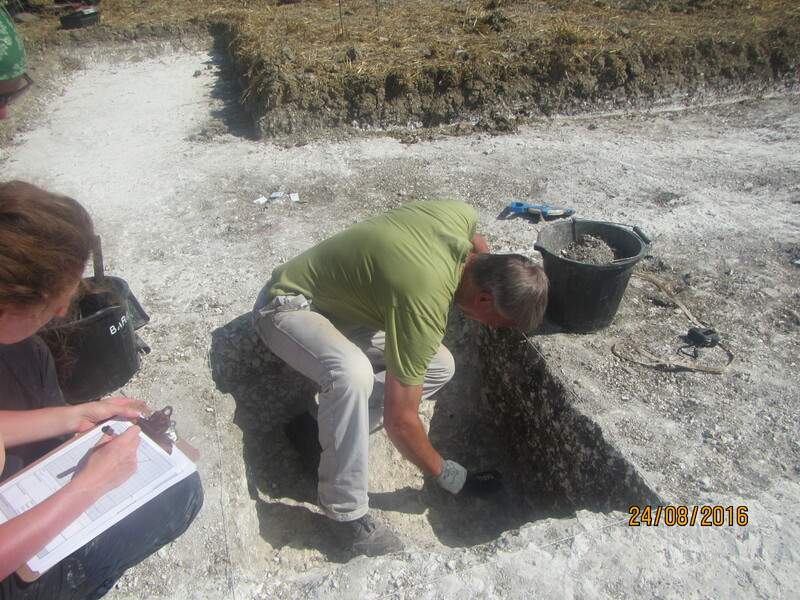 Trench 1 – Gary tidies up the side of an Iron Age pit ready for recording……………………. 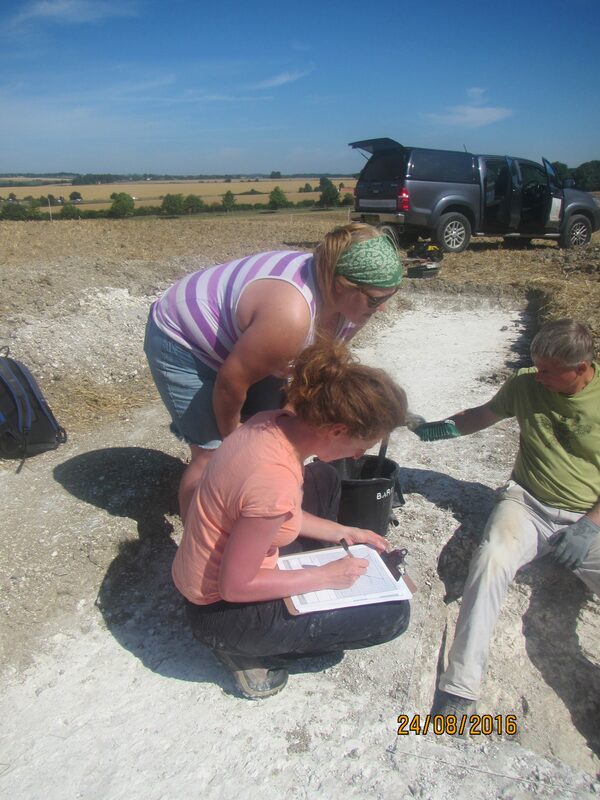 while Steph from Cotswold Archaeology shows Agata how to record each context layer…….the pit was later carefully photographed so that no detail was lost.